Hip-Hop Confessions | Music | Style Weekly - Richmond, VA local news, arts, and events. Influential Richmond rapper Skillz is ready for his next move. Shaqwan Lewis, once known as Skillz, has been a mainstay in the Richmond hip-hop scene for more than a decade. In addition to his own solo career, he's also written a number of hits for artists ranging from Will Smith to P. Diddy. "I think I've retired as Skillz," he says. Rapper and songwriter Skillz, who spent his formative years in Richmond, walked into Chesterfield Towne Center in early March and, with the exception of one person, went entirely unnoticed. A writer and performer who's worked with some of the biggest names in music — Missy Elliott, the Roots, the late Aaliyah and many, many more — Skillz in recent years has toured the world with DJ Jazzy Jeff (yes, Will Smith's buddy), serving as a guest emcee and keeping crowds excited while Jeff spins records. And that's how it is with Skillz: One day he's in the inner sanctum of the music business and the next he's more or less vanishing into the background in Richmond like some sort of hip-hop Bruce Wayne. Now, he's taking his disappearing act a step further. "I think I've retired as Skillz," he says casually. "I won't make any more music as Skillz." While retirements from rappers must be taken with a dose of cynicism, (see Jay-Z, Too Short and others), Skillz's retirement might seem even less monumental considering that, as a solo artist, he never really crossed over into the mega-stardom often equated with success in these fame-crazy times. Which isn't to say that the longtime Richmonder hasn't made an impact on contemporary hip-hop music. He is living proof that not every influencer is a superstar: Some are happy to live under the radar and glide unnoticed in a suburban mall. "That's so attractive to me now," he says, "the idea that you can take your child school shopping. Fifty Cent can't do that. It's certain things you always want to be able to do, like go to your nephew's party at Chuck E. Cheese." Either way, having Skillz's career trajectory would be an enviable feat for any artist. As a solo performer, he produced five albums and at least five mix tapes. His first, the critically adored "From Where," arrived in 1996 and went platinum. The title was a nod to the somewhat incredulousness of a rapper hailing from Richmond — decidedly not New York or Los Angeles or the Dirty South. And because his arrival pre-dated the massive success of his friends in Hampton Roads (Missy Elliott, Timbaland, the Neptunes), Virginia then remained Nowheresville on the hip-hop map. Of course, hip-hop fans in Richmond knew him. By the time Shaqwan Lewis earned the nickname Mad Skillz one night as part of his regular appearances on local DJ Mike Street's University of Richmond "UR House Party" in 1993, he was famous locally for performing anywhere and everywhere — local, now-defunct clubs including Ivory's, the Flood Zone, Shockoe Slip and even impromptu rap battles in front of Rhodes Hall on the Virginia Commonwealth University campus. By the time P. Diddy started the Bad Boy label in 1993, Lewis says, "Anybody in New York hip-hop — Marley Marl, Kid Capri — when anybody said my name they'd be like, 'I got his demo in my office.'" He earned a deal on Atlantic Records' imprint Big Beat by 1994 — a somewhat unbelievable proposition for some locals at the time because, in a story that is now lore, Mad Skillz worked as an attendant by day at the West Main Street parking deck on VCU's campus. (Having just had a child, he stayed at the job for the benefits package, he says.) Once, he recalls, he took time off to perform with A Tribe Called Quest's Q-Tip at the University of Virginia, and was back at the parking lot the next day. "It was weird," he says. "My boss was my biggest fan. I would show my boss magazines, 'The Source,' 'Vibe.' She was my biggest fan." As part of the local group Supafriendz — which included artists Danja Mowf and Lonnie B, both of whom still produce and DJ in town — Skillz saw a glimpse of stardom when the group's remix of Aaliyah's "Are You That Somebody" shot to No. 1 on Billboard's Hot R&B and Hip-Hop chart in 1998. "I performed it with Aaliyah at [New York club] the Tunnel," he says. "She was tripping off of it, saying, 'I love your rap! It's so creative.'" He had a double platinum track, hobnobbing with some of the biggest names in music, and yet was still out and about in Richmond. "When I first came out I never felt like [Richmond] was giving me the props," he says. "I had a video. It didn't sell, but all your favorite rappers knew me." Though his career didn't take the shape he initially wanted, he's learned to remove his ego from the process and be a vessel. "It's not really that difficult to be someone else, to step into someone else's shoes. Every song doesn't have to be about your own life experience. Sometimes it takes two minutes. Sometimes I do have an opportunity to pick their brain. If I go to Atlanta with Usher I can hang out for two weeks and say: 'Where you're at now? What's going to work now?'" Since around 2006, he's also become an underground viral sensation, producing an annual "Rap-Up" YouTube video that in one astonishingly comprehensive song chronicles all the year's most notable events in news and culture. 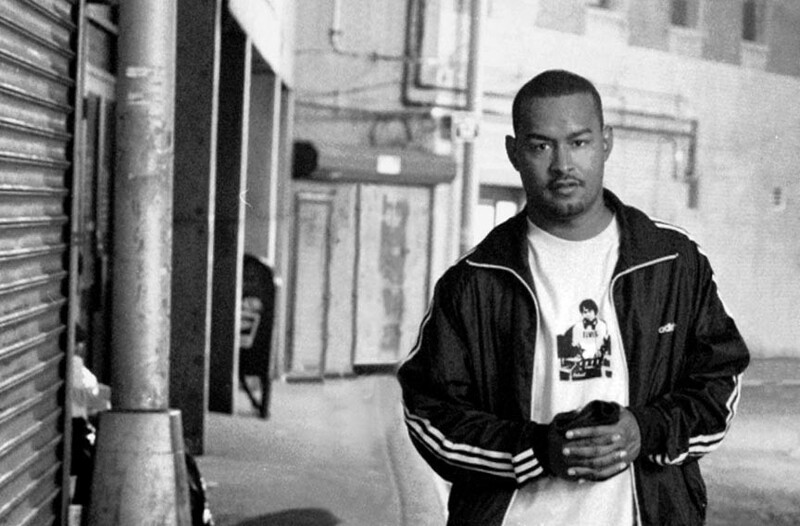 With each one garnering anywhere from 100,000 to 500,000 hits, Skillz has demonstrated a savvy versatility in a complex and ever-evolving field that requires artists to adapt or die. Months ago, he made the tough choice to leave Richmond and move to Los Angeles.